Charpak's birthplace was a village in Poland that is now in Ukraine. The family moved to Paris in 1932 when Charpak was 7. During World War II Charpak served in the Resistance and was imprisoned by the Vichy authorities in 1943. In 1944 he was deported to the Nazi concentration camp at Dachau, where he remained until the camp was liberated in 1945. After graduating from the Lycée Joffre in Montpellier, in 1945 he joined the Paris-based École des Mines, one of the most prestigious engineering schools in France. The following year he became a naturalized French citizen. He graduated in 1948, earning the French degree of Civil Engineer of Mines (equivalent to a Master's degree) and started working for the National Centre for Scientific Research (CNRS). He received his PhD in 1954 in nuclear physics from the Collège de France, Paris, where he worked in the laboratory of Frédéric Joliot-Curie. In 1959, he joined the staff of CERN (European Organization for Nuclear Research) in Geneva. He was part of a team that in 1961 determined that a particle known as the muon was not a separate particle of the nucleus, but just a heavy electron. In an interview in 2009, he called this his proudest accomplishment. In 1968, he invented the multiwire proportional tracking chamber, the device for which he won the Nobel Prize. He eventually retired from CERN in 1991. 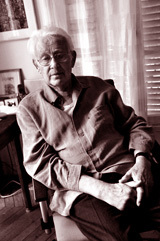 In 1980, Georges Charpak became professor-in-residence at École Supérieure de Physique et de Chimie Industrielles in Paris (ESPCI) and held the Joliot-Curie Chair there in 1984. This is where he developed and demonstrated the powerful applications of the particle detectors he invented, most notably for enabling better health diagnostics. The information on this page is based on content at Nobelprize.org © The Nobel Foundation and a New York Times article.